Yes folks, this is it! A collection of Lightroom presets that replicate the Olympus Art Filters! Lightroom only offers camera calibration options for base coloring like muted, neutral, vivid, and portrait. A lot of people don’t like art filters…but I think it’s because it forces them to shoot JPG. I love the art filters, especially the vintage ones. Sometimes it’s just what a shot needs. I shoot RAW however. I like having the Art Filter look but with the data and adjustability of the RAW file. Until now this was impossible. I have painstakingly created a set of presets that are as close as possible to the Art Filters Olympus offers on their cameras. Just about all of them are available. A couple effects such as line-drawing and watercolor are not included since I have not figured out a way to manipulate files in Lightroom to such an extreme. Other special FX like the star filter are not included at the moment as Lightroom does not offer any kind of related adjustment. Otherwise I have done my best to recreate as many as possible. You can see the following list of what’s included as well as examples at the bottom of this page. As I refine these, add new ones if Olympus releases some, or find a way to add the couple that are missing I will send those out as a free update to all who have purchased this set. Feel free to try them on files from other cameras! Imagine using your favorite Olympus Art Filter on your Fuji or Canon. Colors may change slightly since some presets rely on Olympus color profiles. 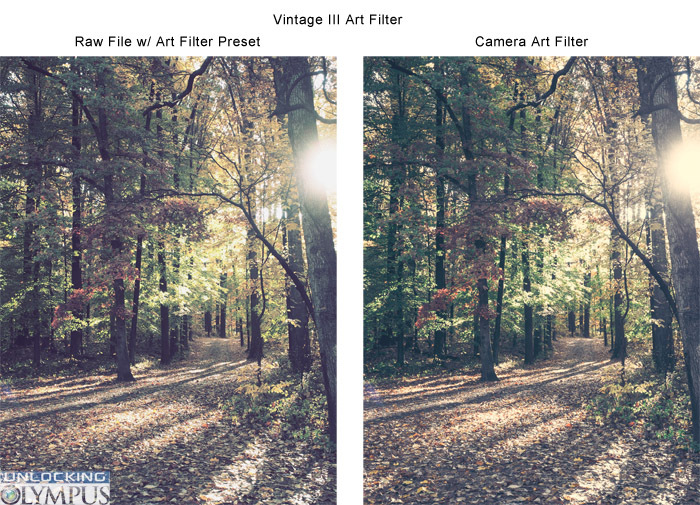 These presets are for Lightroom 5 and 6. These might work fine on 4 and earlier but I make no guarantees. Added bonus…these are presets in Lightroom unlike strict camera calibration settings. That means you can further adjust these to your heart’s content. Love the vintage look…but wish it had more clarity…adjust it! 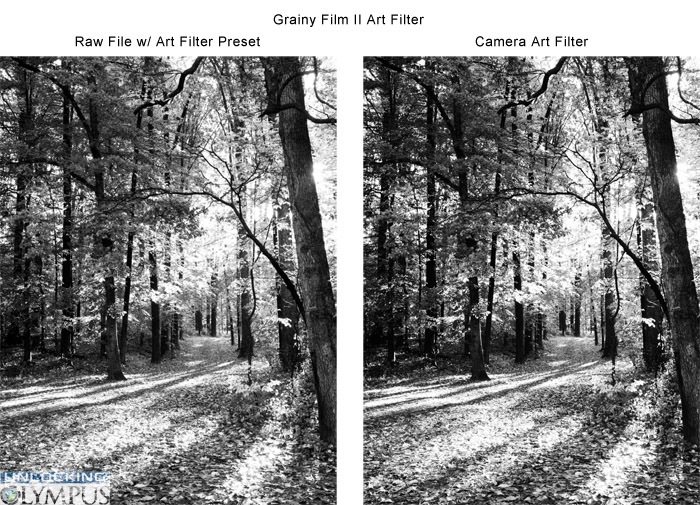 Love the black and white look…but don’t want all the grain…take it out! These can act as the perfect starting point to unlocking your awesome creativity! Best of all just $10. What in the world can you get for $10 in the camera industry? Awesome presets! That’s 33 Art Filters & Options! Now you can add options and tones to art filters to get combinations that were not available in camera! Unlock your creativity today!